R.I.P. Kraft Macaroni and Cheese: At Least One Person Will Miss You! People are willing to go to extremes for the cheesy taste of Kraft Macaroni and Cheese--you know you love it! This is how I best enjoy my day-glow orange Kraft Macaroni and Cheese. Hot off the stove and then spooned into a waiting bowl, wafts of pungent cheesy steam still rising off a pile of pasta, cooked al dente. That’s right. My name’s John. I’m 54 years old and still, occasionally, four or five times a year, I eat Kraft Macaroni and Cheese. Have enjoyed this delicacy of hunter camouflage orange noodles since my childhood. Practically lived off the stuff during college when three boxes could be had for under a dollar. Have seen it ladled into hundreds of bowls for finicky toddlers, Mac and Cheese the only thing they’d eat in their oh so picky pre-K years. But now for some bad news…. 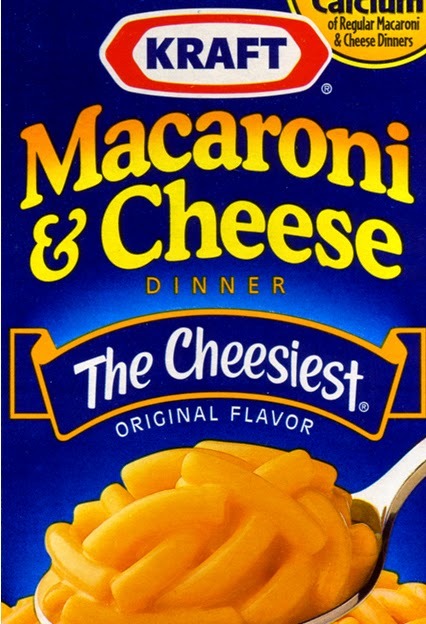 After a vigorous two year campaign to force Kraft Foods to remove artificial preservatives and synthetic colors from their Mac and Cheese, the company has relented. Very soon I, and maybe you too, and millions of others who consume this comfort food in secret (admit it), whose color was once named “as unnaturally orange as a nuclear dawn”: we’ll bid adieu to this food. No longer shaded in a color unheard of in nature, I suppose the “new and improved” Mac and Cheese will be some tepid yellow color, maybe beige or off white, healthier for sure, but it just won’t be the same. Me? I’m going to miss my old Mac and Cheese. My head knows that processed foods, though convenient and cheap, are not so good for me: for my weight or cholesterol or vitamin intake. I know I should be snacking on rice cakes rather than Cheddar Cheese Combos, drinking Vitamin Water and not Fresca diet soda, but I’m just not strong enough I suppose. Not foodie enough. So my nostalgic food heart, my comfort food heart: it’s kind of broken today. Yes, I risk sounding as stale as months old Wonder Bread in expressing mystification at the foodies, who so dominate the world of eating today. Who eat uber “healthy” treats like kale chips and unpasteurized milk. Who have the commitment and talent to make fresh meals from scratch while I scramble to grab something to eat, sometimes from a can, after a long day (and often night) at work. I flip straight through the Food Channel when TV surfing, skip the Iron Chef, and prefer a roadside diner to a downtown bistro any day. In fact I grew up eating what today would be no doubt labeled as “unhealthy”, maybe even dangerous. Kool Aid on hot summer days. Captain Crunch cereal floating in a bowl of whole milk. Velveeta Cheese melted over toast. Fish sticks, which probably didn’t really have much fish in them. Canned Heinz Beans and bright red Oscar Mayer dogs and B&M brown bread in a can (that’s right, a can) as a special treat. It may not be kosher or cool or current or have any cachet to admit that I still sometimes have a hankering for all that “bad” food. But I can’t help it. Sorry Food Babe. So when you see me in the supermarket aisle in the next few months, don’t be alarmed if my arms are stacked high with soon to be discontinued boxes of old fashioned Kraft Mac and Cheese. The good news is that with all those pseudo ingredients, it’ll store in my pantry for many years to come. And yes: you’re welcome to come over for dinner too. The Marathon Bombing Trial: It's Not About Him Anymore. It's About Us. It's not about him, not anymore. Now it's about us. "Him" is convicted Boston Marathon bomber Dzhokhar Tsarnaev, who with his brother Tamerlan, carried out one of the most deadly terrorist attacks in United States history, two years ago this month. "Us" is represented in the twelve jurors, who in the days ahead will decide whether or not Tsarnaev should die at the hands of the state or serve the rest of his natural life in prison, as punishment for his crimes. Now that the penalty phase of the Marathon Bombing trial has begun, it’s sobering and profound to witness the culture wide debate about whether or not Tsarnaev should be put to death. Especially heartbreaking have been the pleas from bombing victims and their families. Some favor radical mercy, others swift and sure justice. As one not directly touched by the attacks, not even close, I can’t imagine what the trial and media coverage and anniversary has meant for these survivors. I applaud their courage in speaking out, both for and against the death penalty. Their stake in this choice is huge. The media too, of course, has weighed in. Boston's two newspapers are split, the more liberal Globe editorially opining "Spare Dzhokhar Tsarnaev the Death Penalty" and the right leaning Herald declaring "No Mercy for Tsarnaev". No surprise there. The conflict about the morality of human execution reflects a worldwide divide on this form of human justice. According to Amnesty International, the United States is one of 57 countries which still carry out the death penalty, putting us side by side with nations like Saudi Arabia, Afghanistan, India and Iran. Only one western developed country makes the list: Japan. Every European nation has banned executions; Mexico and Canada too. 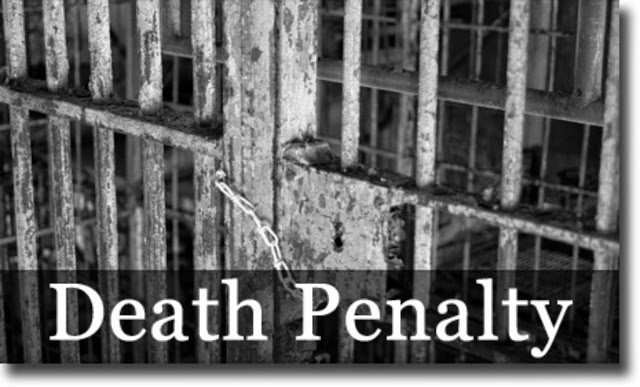 In the U.S., 32 states have the death penalty and 18 do not, including Massachusetts. In the Boston area, a recent WBUR poll reports that 58 percent of us favor life in prison for the Tsarnaev. We got to this choice because U.S. Attorney General Eric Holder, who calls the shots in a federal trial, has chosen to seek death. But now in a way it all comes down to us, us: what we believe collectively as a society about the death penalty and its legitimacy, embodied in the dozen women and men who'll determine Tsarnaev's fate. Make no mistake: if the jury votes for death, that choice is a direct reflection upon us as a nation, a people, and a culture. In a very real way, if the jury chooses death, we choose death too, for we will be the ones on whose behalf this death will be carried out. We may not be in the jury room, may not be in the death chamber, but when a government decides to kill another human being in the cause of human justice, it is for "us". And I wonder and I worry and I weep about what such a decision might say about America in 2015, say about us. It's not about him, not anymore. It's about us. The warped and violent ideas which inspired those brothers to kill, maim, and traumatize the innocent are heinous, evil. As a person of faith I am ashamed and embarrassed that another believer in God would have the arrogance and hardness of heart to presume this same God endorses terror. The "religion" which the Tsarnaevs and others of their ilk supposedly practice is no religion, not at all. It is a radical and oppressive secular ideology, born in hatred and the desire for power over others, and it must be stopped for the sake of our nation and world. But not by death. Not by more death in response to death. Not by more violence and more bloodshed, even if we choose to cloak and justify the act of taking another's life in the language of the law. The struggle between radical Islam and the rest of the world is finally a struggle between ideas, and what it means to be a human being and to live with others in peace on this diverse and amazing planet. If we as a nation choose death, I fear we will unwittingly contribute to and stoke the flames of religious intolerance which have our world in a vise grip these days. Imagine instead, what it would say to these fundamentalist radicals for us to spare this one life, to declare that while you may use death to further your cause, we? We will not. God help us all in the choice that we, we, are about to make. Lion In Winter (descriptive phrase) 1. A proud, prominent, strong man whose great strength [has]...been eroded by age and adversity. I’m not quite sure when it first occurred to me that the world was beginning to pass me by, as it never would have when I was younger. Old people? Me? Am I doomed to become the guy in the neighborhood who sits on his front porch in black socks, sandals and madras shorts and yells at the kids to “GET OFF MY LAWN!” When did I transform from a young buck into an old cliché, from a hungry cub of spring into a lion in winter? I know I’ve still got lots of energy and passion left and yet I’m in Act III, not Act I. That might not be such a bad thing to accept: to look to the young, newly emerging world changers, for new idealism, hope and leadership. It is their world now, in a way. Not mine. Not as much as it once was. Every generation at some point needs to step aside for the next, to hand off the baton of responsibility to those behind them in line, and say: “It’s your turn now.” I’m reminded of this truth by an ongoing event in the ever young neighborhood of Harvard Square. At Harvard University, hundreds of students this week began a sit down protest on the hallowed green of that elite school. 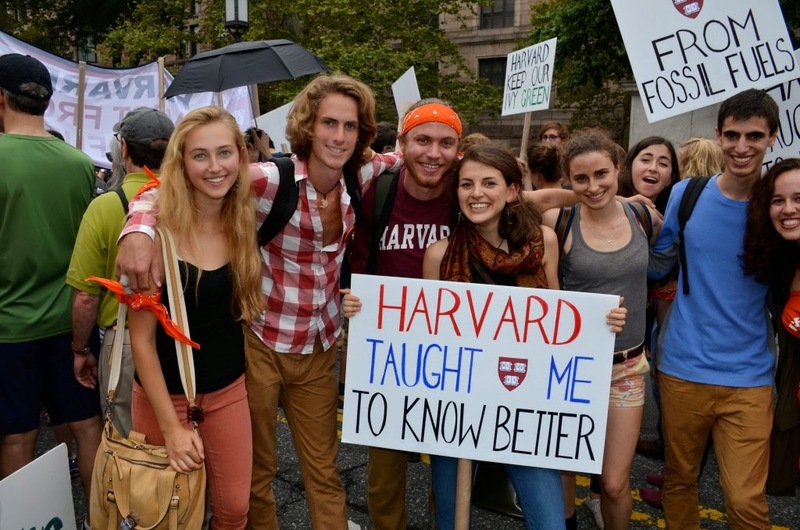 “Harvard Heat Week” protestors want Harvard to divest itself of investments in fossil fuels, to combat climate change. They demand that Harvard use its hefty $36.4 billion dollar endowment to fight the warming of our planet; that the Crimson campus put its liberal mouth where its liberal money is. They want the limousine liberals of Cambridge to switch to a Prius: not just talk about saving God’s fragile Creation, but actually do something about global warming. My 17 and 20 year Godchildren Chloe and Micah are in the thick of this environmental movement, have been since they were very young, attending climate change protests in Washington, D.C., New York City and now Boston. I could not be prouder of them. Not just because I agree with their stand: that human actions are damaging Mother Earth. More important, I love and respect their passionate civic engagement, because in a real way, the world they fear losing is more their world than mine. I’ll be long gone if the time arrives when Boston’s Back Bay becomes a bay once again from sea level rise, or when a day at the beach might be in Newton rather than Nahant. Folks can and do disagree about the dire warnings from climate change science, but none of us should disagree that this is a generational issue for our children, grandchildren and great-grandchildren. It is their battle to fight. Because if they are even close to being correct in their fears, if a time is fast approaching (or has already passed) when there is no turning back from the permanent destruction of earth’s fragile ecosystem, the young must lead the charge to change humanity’s path. My name will be etched on a tombstone when the day of reckoning comes. The young will pay the ultimate price if humanity can’t find a way to sustainable life on earth. Not me. My job, in my generation, is to actively support the next generation in their work to make the world a better place, and not just for climate change, but for all the pressing issues which define life on our big blue planet in 2015. It is still my world but with each passing year, that world changes hands. That world is given over to ages yet to come and now it is up to them to embrace the work of active citizenship. We may not and will not always agree on their generational ideas or ways. It always gets tense when one generation is asked to give over power and responsibility to the next. But guess what? One day in the not so distant past, we were once that new generation. We demanded that it was now our time. We declared that the culture had to change and by God we were the ones to change it. We were uppity, pushy, ambitious, and so sure, as only the young are. Remember? It was our world then: for better, for worse. Now the world belongs to the young. That’s a good and right thing. This lion in winter prays that God will bless the young with courage and wisdom for the living of these days. It is their world now and that gives me hope. “The right to be let alone is indeed the beginning of all freedom." Do you want to know exactly what I was doing last Thursday night in my home at 10:35 pm? How about 1:30 pm yesterday afternoon as I drove in my car? 8:30 am on Tuesday when I was on my cell phone? Sunday morning at 10 am? Who I was with? What I was up to? Wait. Isn't that private? Unless I was doing something illegal, was a threat to other people or myself, it's really no one's business but my own. Forgive me if that sounds rude. I don't mean it to. 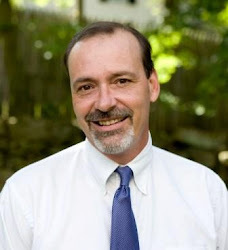 I'm sometimes a very public person: as a clergyperson, newspaper columnist and blogger. 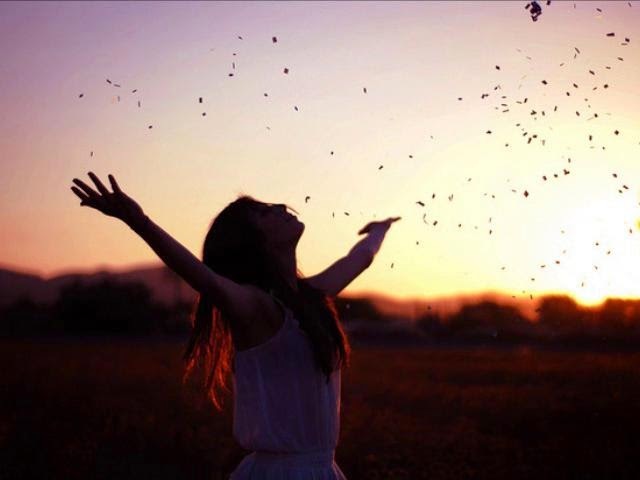 Lots of my life is free for others to see and to judge. I'm ok with that. Goes with the territory. It is just that sometimes I also like my privacy. Need my privacy. In fact as a human being and an American citizen, I have a right to privacy. All of us do. Think about it. As you read this essay at home or work or Starbucks, do you consider it anyone's business that you do so? Does any one person or institution like a government or corporation have the right to know if you are alone or with others? What you talk about? What you are doing? What your life is like behind closed doors? Privacy is a funny thing. We don't usually consider it until someone or something tries to take it away from us. I thought of this issue of personal privacy in America, as I watched the very public battle last week in Indiana, over that state's passage of a so called "religious freedom" law. In its first iteration, the law seemed to give businesses and business owners the legal right to discriminate against people whose sexual orientation offended one's religious beliefs. It looked like a gay couple seeking marriage related services, for example, could have a business' door shut in their face, legally. Preach it Gene. He could have easily said "what they do in their private lives". Private. If our neighbors love each other and they want to have a family, want to have access to the rights and privileges of married life; if by taking that step they do nothing to make the quality of our collective and personal lives any worse, who are we to presume that we can tell them how to live? Aren't some things in life still private? Private. Between us and our God, if and when we choose to invite God in. It is our family, right? We live in our homes, not someone else's. We live our lives and at best we do so in freedom and responsibility, and sometimes in private. Whatever happened to "live and let live" and not just for gay marriage but in the rest of life too? Ultimately my faith is my business. I love my God. I want to share that God with all the world but I do not have the right to force my faith on any other person, nor do I want someone else telling me what I must believe. So too as a public person, I am so grateful for my private life, that who I am and how I live is finally up to me and my God. And in our celebrity, scandal and social media infected lives, I wonder: is anything about anyone private anymore?! I am exhausted by how much everybody shares these days. Enough with the private spilling into the public. Give it a rest! Yet finally my belief in privacy probably comes from being a lifelong New England Yankee. I'm a true believer in the right of my neighbor to be who he or she wants to be, that how they live is really not my business. It's about respect and boundaries. I hope they rush over to my door and offer fresh baked cookies, but they can also can keep to themselves too. It's up to them, not me. 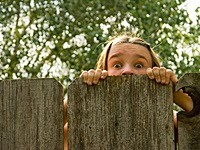 Robert Frost had it right: sometimes good fences do make good neighbors. There's the private. There's the public. I've got enough to deal with in just my own life, let alone yours' or anyone else's. And yes, I'll confess: last Thursday night at 10:35 pm I was watching "Mad Men" on Netflix. It is the holiest of holy rituals I practice, and have practiced, twice a month, on Monday nights, for the past twelve years. Almost without exception, save for a rare skipped evening, I never miss it. Monday night dinners: me sitting at the supper table with three very good friends, for hundreds of Mondays now. My dinner mates are always Kathy, whom I’ve known for almost thirty years; her husband Kevin, my friend for near 20, and Dillon, their son, who’s sat next to me at dinner from the moment he was born 15 years ago. No matter what is going on in our collective lives, no matter the wacky weather or crazy schedules, or the dramas of daily existence, on holy Monday, the four of us always, always, gather together and break bread. Review our just finished weekends. Talk about life, politics, family and faith. Drink steaming cups of tea and check in. Those dinners are holy, one of the holiest times of the week for me. Holy: set apart, cherished, and singular. Holy: a faithful ritual that defines and shapes my life. Holy and transcendent: these meals are a little slice of heaven on earth where I experience face to face the love of others, the love of God, and the love of life. Yes, I know as a pastor, I m supposed to be all about holiness, but guess what? You are probably more of a holy person than you know too. You need holiness. We all do. It is tempting to see holiness as just the stuff of chanting monks with smoky incense, a whisper quiet church service, or the faithful streaming into mosques and temples for Sabbath, a holy day. That fits. This week Christians around the world will celebrate an entire Holy Week. But to be “holy” is always about so much more than ancient doctrine or religious practice. Religion at its best is holy. But life is holy too. Holy: whole, contained, and very good. All humans crave this wholeness and holiness. It’s just that we forget sometimes. Forget we want and need some things in life, some people in life, some rituals in life, some relationships in life to be sacred, protected, honored, and revered, like my weekly meal. Like weekly worship or daily prayer. Like weekly time with a loved one: date night with a spouse or breakfast with a friend at a local diner. Like the long run we take every morning as dawn awakes, or a long walk in the quiet of the woods on a Saturday morning with the dog. To be holy means we intentionally claim precious time for thought and rest and relationships. To be holy means we humbly recognize that there may be something greater than ourselves in the universe, that maybe life is not all about “me”; that there is more to existence than our five senses. More to living than just scratching every itch, feeding every appetite, or satisfying every desire. Something holy is always calling out to us. The hard part is listening and responding to this deep need to be holy. Holiness is hard work. We live in a world of intense energy and unrelenting forward movement, the twin foes of holiness. We are up in the a.m. then rush off to work or school. We push through a torrent of meetings and emails and texts and competing demands. We commute back home on a crowded highway or cramped train, try and gather for dinner (if we can find the time), then it is off again to more activities and commitments and finally back home to bed…and then? We do it all over again. Not very holy or whole. Such busyness is the enemy of holiness. Busyness tries to convince us that meaning comes from doing. Busyness sweeps us along in waves of frenetic grasping, from one thing to another and another and another. Busyness splits life into a million pieces. Busyness is the golden calf the world worships. Holiness is the opposite. Holiness finds meaning in being. Holiness recognizes that our souls need nurture too. Holiness dares to say, “Enough already!” Holiness is still. Holiness stops. Holiness pays attention. Holiness takes practice. God knows we all need to be holy, and not just for one week or season or holiday, but also for this day. Every day can be a holy day.